2. Read the license agreement. If you accept the terms of agreement, tick "I accept the agreement" and click " Next". 3. 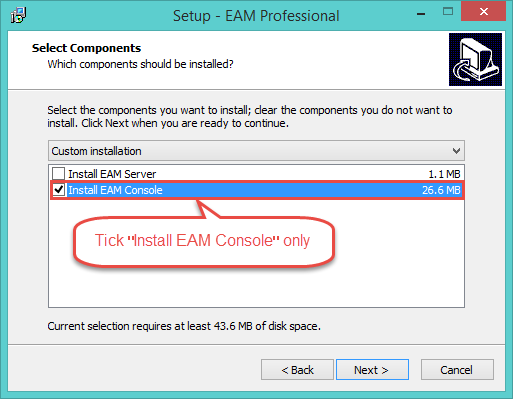 Select directory where you want to install iMonitor EAM console program. Choose whether you want to create start menu group, Whether to run application after installation process, and whether to put the iMonitor EAM shortcut on the desktop. 4. 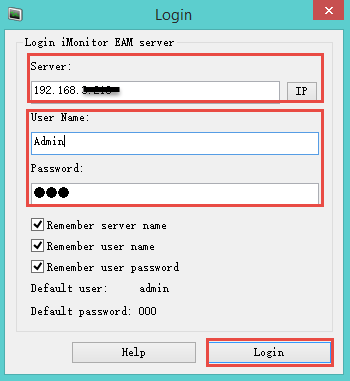 After the Installation, run EAM professional/standard, Input the IP address of the server computer, then enter the user name and password, Click "Login" to log in the EAM console.